Travelling can be quite a challenge especially when you have kids with you. The more children you have, the harder it is because when you are at the airport, chances are they will be so overwhelmed by the gigantic machines flying about that you might lose track of them and have to start hunting for them when the boarding time arrives. Furthermore, airports are extremely large spaces and they can be very crowded depending on which airport you are in. Thus, looking for a small boy in the midst of thousands of people in a large space can be very daunting. Particularly during peak seasons like school and public holidays, airports are mostly jam-packed with people. This means that there will be traffic jams, crowded car parks and surely tens and thousands of people travelling in and out of the airport. If you are flying on that day, allow extra time. 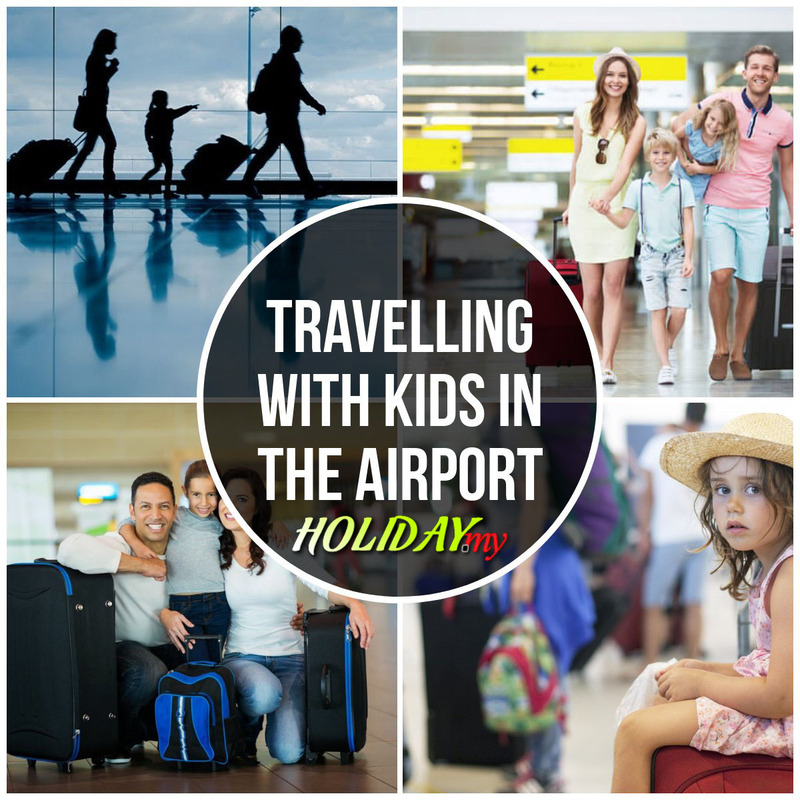 Head on to the airport 3 to 4 hours before the checking in time so as to buy your family some time in case the kids get out of hand. There is no problem in being early as you can always check in first and then have a meal somewhere in the airport. Certain airports are known to create a make-shift playground during the peak seasons. This is an ideal solution if you are to do other things. Get your partner to monitor the kids at these places and then you can go and buy water, food or anything else you need for the trip. The most stressful time when flying is in the checking in and out. To avoid being overweight (which would then cause you a lot of headache, especially with budget airlines like Air Asia), weigh your luggage before travelling to the airport. Try to be as minimal as possible and bring only the essentials. If the check-in is swiftly completed, then you can focus on other things. The trick is to keep your children busy during the waiting and when there are flight delays. The traditional way is to have some board games ready at hand but kids these days would surely enjoy their PSPs, tablets and game devices to keep them busy. Make sure that they are fully charged with extra batteries packed in. All in all, keep your children healthy before travelling. Keep them well hydrated and are taking healthy food so that they do not catch the flu when flying. The task becomes a lot harder if the kids are not feeling well. Was this article helpful? Share it with other families.